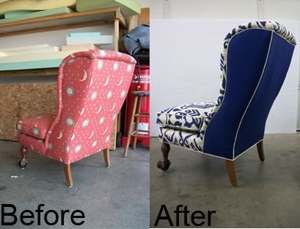 St. Matthews Trim & Upholstery has more than 63 years of service to the Louisville area. We have a wide selection of fabric and a skilled team of craftsmen. Through our work, we have earned a reputation for artistry and excellence in upholstery. We have dedicated ourselves to providing our customers with quality service. You can see in the examples below how we take our customer's taste and style and transfer that into providing them with excellent pieces. 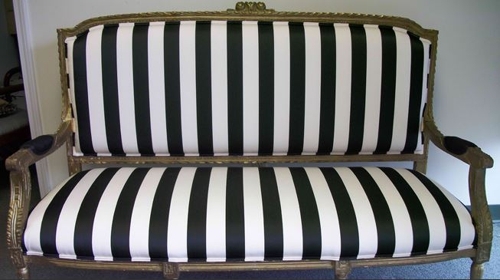 "She envisioned a French-inspired room and selected a dramatic black and cream striped polished fabric. The result was a perfect addition to her 'Parisian Salon'"